The right pairing can make all the difference. In my last post, I covered a comparative tasting of Merlots from three regions: Napa, Washington, and Bordeaux as part of participation in #MerlotMe month. My brother-in-law, Dave, prepared a wonderful porchetta dinner and we had a great time tasting through several samples I'd been sent, as well as the BDX we added in. However, the flavor profile of this dinner tended towards heavy herbal notes, and I kind of thought the Napa wines were at a bit of a disadvantage. The wines didn’t clash, but these dishes didn’t play to their strengths either. We had some of both of the Duckhorn wine samples leftover, so the next night I decided to make a dinner that would better match these wines. I have had Duckhorn’s wines in the past and have always really enjoyed them, and these two in particular still tasted delicious on the second night. Normally, I’d cook something a little more high-end to match the quality and caliber (and price tag) of these wines. It had be a long week and weekend though, and I only felt up to something really low stress. I ended up doing a low-key burger night, so I’m going to give you the details on this dinner, followed by ideas on how to take essentially the same dinner up a couple of notches. The wines in play were the Duckhorn Vineyards Merlot Napa Valley 2014 ($54) and Duckhorn Vineyards Napa Valley Merlot Three Palms Vineyard ($98). See my last post for full details and tasting notes, but I’ll recap a bit. 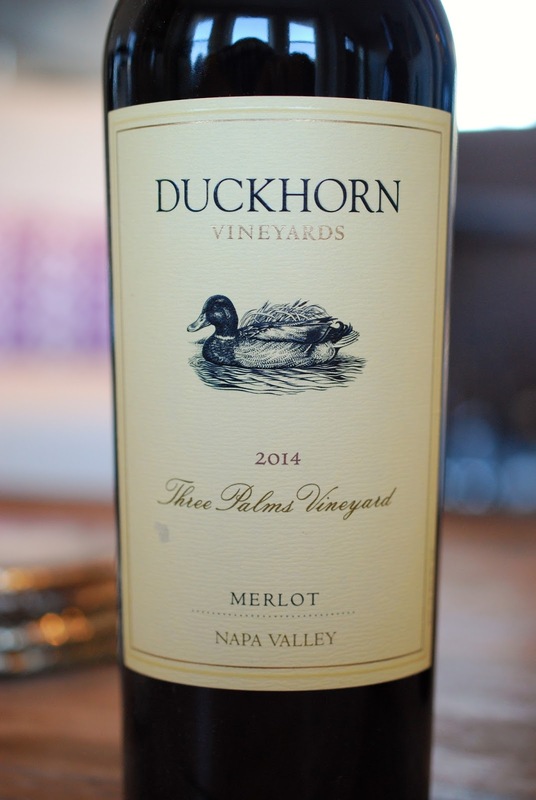 Dan and Margaret Duckhorn began Duckhorn Vineyards in 1976 and they’ve always focused on Bordeaux varietals. Normally, I make my own burger mix, but on this evening I took the easy route and bought pre-made burgers from Trader Joe’s. I decided to top the burgers with caramelized onions and Gorgonzola, as well as a little ketchup and mayo of course. I also roasted cauliflower and some pumpkin I purchased pre-cut from the farmers market, both tossed in olive oil with a little salt, pepper, and mixed herbs. (425°F tossing every 15 minutes or so, until golden brown. About 30 to 35 minutes.) We also had a simple green salad on the side. That might all seem a little time consuming, but these things all took about 5 minutes of prep each and periodic check-ins while I mostly went about my business doing other things. The wines sang so much more with this dinner. The Napa Valley became even more velvety and really resonated with sweeter elements like the caramelized onions. The grip and intensity of the Three Palms Vineyard really brought out the smoky, charred notes in the meat in a delicious way. This wine played more to the umami flavors in the dish. Both worked really well with roasted fall veggies, which makes me think they’d make great additions to the Thanksgiving table and other fall feasts. 1) The obvious first step up is to make your own burger patties with really good meat. Make them really thick and juicy seasoned with a little salt pepper. 2) Get some really beautiful steaks, season with salt and pepper and throw them on the grill or in a pre-heated cast-iron skillet where they can get a really good crust. When I have the forethought, I like to throw the cast iron pan in a heated oven for about 10 to 15 minutes before transferring it to the stove to cook the steaks. This ensures that pan is fully heated through and ready to give a good sear. In either case, you can still keep all other elements the same. The caramelized onions and Gorgonzola worked really well. Serve with a side of simply roasted fall veggies for a simple but decadent dinner. This match–even if it is high-low–goes to show just what the right pairing can do. Both the wine and food come out shining a little more brightly from the match. Greg and I were both sighing in satisfaction at this combo. Note: Wines in this post were provided as samples, however, all opinions are my own. The fires in Wine Country are still going but on their way to being contained. 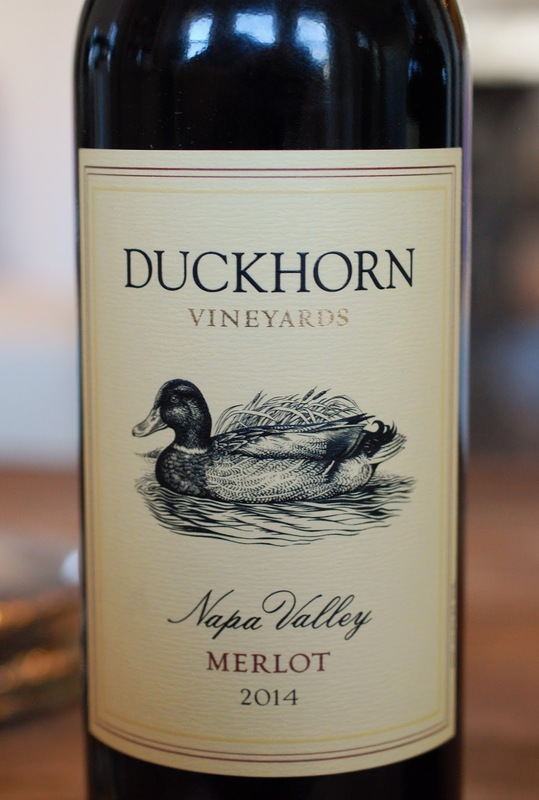 As far as I can tell online, the Duckhorn Vineyards seem to be ok. Many others, however, are not and recovery is only just starting. Buying wines from the affected regions is going to major way to help them recover in the time to come. Here are two articles on how to help from the SF Chronicle and 7 X 7. As I mentioned last time, our niece, Kara, and her fiancé lost everything in the fires. His mom created a fundraising page on their behalf to help support them as they rebuild and move forward. I’d like to share the link again as well. And once again, check out the many other wonderful #MerlotMe posts from the Wine Pairing Weekend (#WinePW) crew. What are you favorite Merlot pairings? 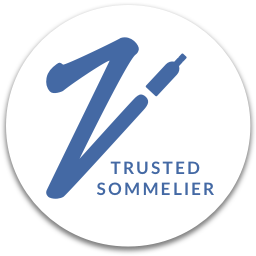 Please share them here and by tagging them #SommsTable on Instagram. I can imagine that the caramelized onions and gorgonzola helped with this pairing. I love burgers and always enjoy a glass of wine with them. They really did match beautifully! Thanks Wendy!